Jerome Silberman, better known to the world as Gene Wilder, has died from what the interwebs stated was complications from Alzheimers. A nasty illness if I've ever heard of one. What wasn't nasty was Mr. Silberman's - ahem - Mr. Wilder's career. A beloved actor on the silver screen, he starred in so many of your father's favorite movies - Blazing Saddles, Young Frankstein (Franken-STEEN - my apologies), Willy Wonka and The Producers to name just a few. He also teamed up with Richard Pryor a few times to produce some decent flicks - Silver Streak, Stir Crazy and See No Evil, Hear No Evil. He rarely acted after the 90s - maybe he was battling the disease then, maybe he knew when to get out and leave 'em wanting more. If I believed in this sorta thing - I'd say he and Richard Pryor are up in heaven making more movies together, and eventually Mel Brooks will be there with them to direct Blazing Saddles 2 (Dammit - President Skroob can't die). 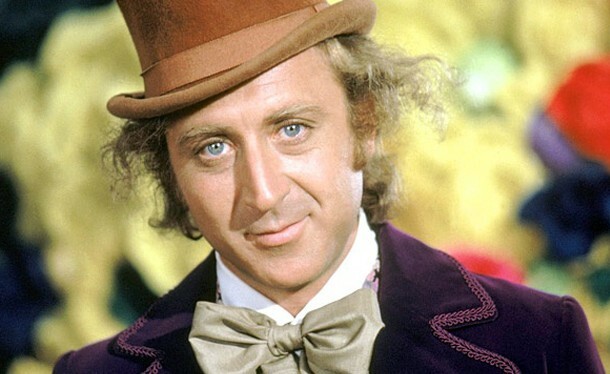 RIP Mr. Wonka - thank you for all your movies. GOOD DAY SIR!!!!!!!! !